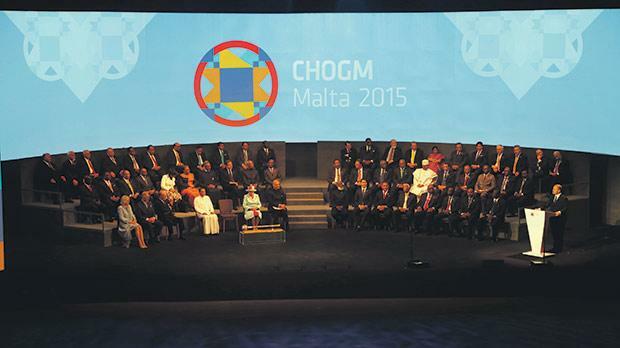 Carmel Magro made over €355,00 from CHOGM. A whistleblower whose company was awarded over €1 million in government contracts since Labour came to power also receives a salary paid by taxpayers, as does his wife. Carmel Magro, owner of TEC Ltd, was an Enemalta employee until all the company’s workers were transferred to Engineering Resources Ltd in August 2014. The company is still owned by the government and is responsible for the management of some 1,500 employees that were on Enemalta’s books. Mr Magro was seconded to the GWU but his salary is still paid by taxpayers. Sources and colleagues of Mr Magro told The Sunday Times of Malta he continued to receive a salary, including perks and shift allowances, despite his obvious absence from work. This newspaper is informed that Mr Magro receives a scale five salary – which ranges from €25,300 to nearly €30,000 per year. His wife and partner in TEC Limited, Mariella Magro, also receives a salary paid by taxpayers in the scale where workers earn up to nearly €24,000. When asked to confirm the information, Enemalta said it “is not authorised to divulge personal details of employees”. Mr Magro was the man behind the “works for favours” controversy involving former Nationalist Party minister Tonio Fenech some six years ago. This newspaper revealed last week that after the election Mr Magro’s company benefitted from government contracts worth well over €1 million. Half of these were direct orders for national events as well as events organised by the Office of the Prime Minister. Mr Magro remained tight lipped when asked whether he believed he had benefited from the scandal he sparked involving the former minister. Last week, he told this newspaper his offices were closed on a Saturday. To avoid the same answer, The Sunday Times of Malta sent questions to him last Thursday. He still ignored questions asking how he justified accepting a salary when it was obvious his time was taken up managing the string of companies he had set up. This newspaper has discovered at least six companies owned by Mr Magro, or in which he is a partner or shareholder. “Mr Magro should be aware that a whistleblower exposes information for the benefit of everyone not himself… He has acted in favour of his interests. It worked because the [Labour] party made him a millionaire,” according to a source close to Mr Magro. Enemalta has been making an effort to shed its workforce after China’s Shanghai Electric bought a 33 per cent stake from the government in the Maltese State energy company. While Enemalta takes the human resources it needs from Engineering Resources Ltd, others are moved to other employment while still being paid by the government. For example, this newspaper reported last week that more than 40 former Enemalta employees were transferred to maintain the President’s palaces. The couple owning TEC Limited have seen the company’s revenue spiral since the election, with well over €1 million in government contracts alone. They include direct orders for “various maintenance works” at Castille through two contracts worth €77,000, revenue of over €355,000 from the Commonwealth Summit alone, as well as a direct order for “a backstage compound for the Junior Eurovision festival” valued at €121,000. TEC was also chosen by direct order to set up the press centre facilities at Fort St Elmo for the Valletta summit. The company generated further revenue of €135,000 just from Carnival activities in 2014 and 2015 – €58,000 were by direct order. The information was given in reply to a freedom of information request by The Sunday Times of Malta that focused on the main national events since the last election. This was combined with additional data gathered from parliamentary questions. The list of contracts and related revenue is far from exhaustive, which means the total value of contracts awarded to TEC is in fact higher. Mr Magro’s revenue was further boosted by hundreds of thousands of euros from contracts awarded to a string of other companies he owns or shares with other partners.